Is it weird to work on your birthday? I kind of enjoy working, and our events allow me to see our clients and friends in person. This past Saturday, our team hosted 50+ investor on the iWIN Flip Tour in Hamilton. Our friend, client and iWIN member, Manny Cabral, is in the middle of flipping two properties so we could get the inside view. Literally, as some walls were not just closed, and Manny explained how the deal went down and planned renovations to maximize returns. Both houses were bought off-market, but will be sold on the market via our top Real Estate Agent team who has been working with investors for last four consecutive years. One of the key factors of a successful flip is to purchase the property at a price below what it would sell for on the market. Often times the property is so unmarketable, and sometimes dangerous, that some owners prefer to sell off market. When selling a fully renovated, turn key property, the best practice in my experience is to sell it on market. Those who buy off market want a discount. If you’re looking to sell and maximize sale price, then you want to market the property to as many buyers are possible to be in a position of strength when negotiating, as our client and iWIN member Manny Cabral is doing when his flips are done renovating. As I’ve mentioned on this show, the market is often irrational in how it behaves. I once had two offers on one of my listings, one was our offer, at asking with conditions; the second was $80,000 higher without conditions. If the property was not listed, I would not have received that 2nd offer for $80,000 more. But do know that communication and positioning had to be executed perfectly to generate that crazy aggressive 2nd offer. As is goes with my networking group, the Infinity Wealth Investment Network (iWIN for short), we will continue to teach about flipping and off market deals and wholesaling, along with our full suite of investment hacker strategies. Our guest speakers last Thursday, Ryan Carr and Susan White, have done it all: tiny houses, vertical splits, horizontal splits, storage rentals, rent to own. They know and have done it all, they are investment hackers which enables them to maximize returns on any given property. Which investor do you think will come out of the next recession in the best shape? VENUE – Sheridan College Conference Centre – we’re back!! For iWIN members, this is included in your Membership. Tickets are available to purchase for non-members as this is a special event. Members, not sure if you’re registered? Email maria@mrhamilton.ca ! Russell Westcott, best selling author, expert instructor on the subject of raising capital for real estate investors is back to take an all day deeper dive on the subject of joint venturing where YOU the real estate expert will learn the expert secrets to attract capital partners for your real estate co ventures. On to this week’s guest!! Sadly, the truth is there are few people I like in the real estate industry and even fewer in the real estate investment industry. John Beddome is not only of the good ones, he’s one of the great ones. John is a licensed real estate professional, he listens to what his clients want and gets them exactly that. The job is to guide investors as best as possible with the highest possible return on time and investment, and John delivers exactly that. When I was checking John’s references (I check references for guests of the show 🙂 I was informed this client was showed seven properties by John, and the investor bought five of them because John listened and found them exactly what they wanted. 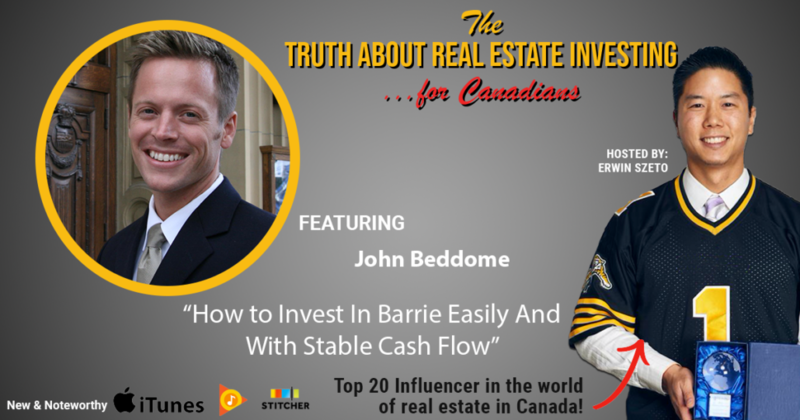 John is also an investor, a top 10% investor, as one of the few who achieve double digit investment properties at 12, having started in 2007. Even more important is what a good man, husband and father he is, but I won’t spoil it for you here, but around the midpoint of the interview he had me choked up. Finally, John is an original member of iWIN and member of the League of Extraordinary Real Estate Professionals that I personally endorse. After you have a listen, you will understand how John qualifies.